commented on "The Tasmanian Craft Fair at Deloraine is coming closer....two weeks and counting down! I am very excited to be helping my good ..."
The Tasmanian Craft Fair at Deloraine is coming closer....two weeks and counting down! I am very excited to be helping my good friend Lyn Broomhall AKA Lyn's Maille who is in Venue 1 at her inaugural Craft Fair. Lyn's sumptuous and unique style of chain maille jewellery comes in sterling silver, niobium and aluminium. 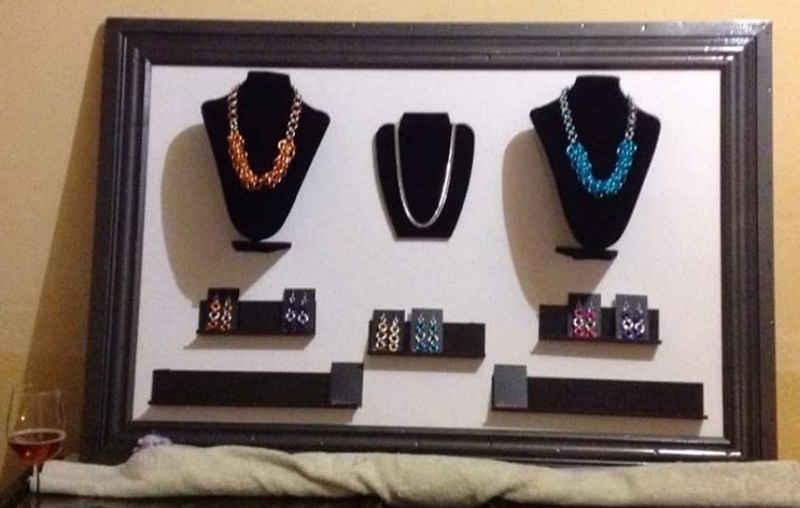 Necklaces, bracelets, earings : you just really need some of her stuff! So Lyn will be making/demonstrating and I am sales girl. Please do come say hello. So, The Lucky Ewe studio shop will be closed on the Sunday which is 1st November.